Amanda Chaffin lifts her son Kayden, 4, who suffers from Spinal Muscular Atrophy at their home in Noble, Oklahoma. Chaffin is worried that cuts to medicaid at the state and national level will soon make the cost of caring for Kayden unaffordable for their family. 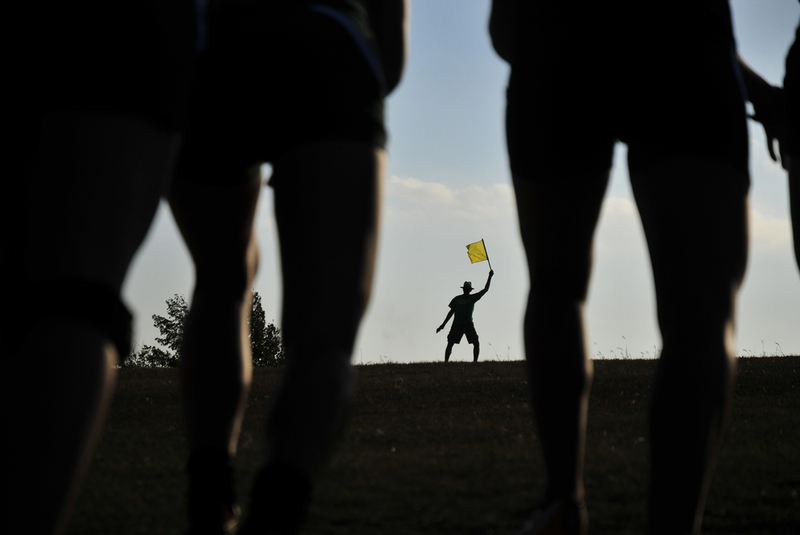 Burky Curtis waves the starting flag at the beginning of the women's race at the the Bison Cross Country Invitational at Gordon Cooper Technology Center in Shawnee Oklahoma on October 8, 2011. 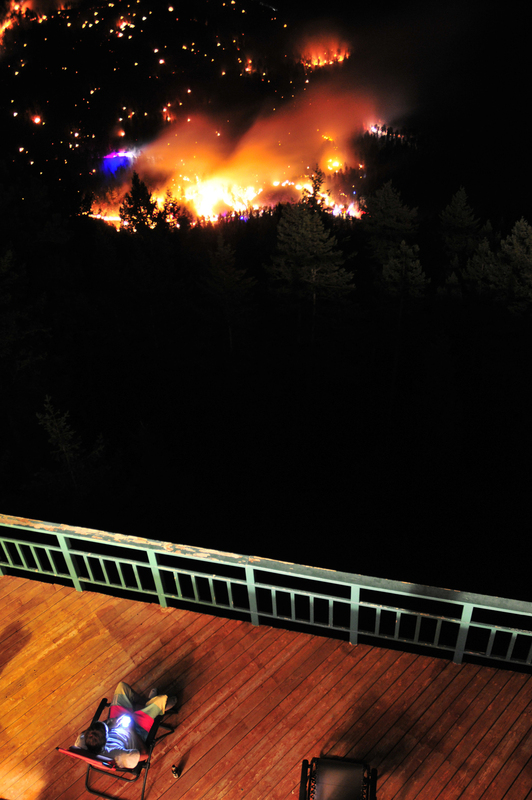 Patrick Gillean watches the Maxwell Fire burn from his patio in Boulder Colorado June 26, 2011. The Maxwell Fire burned approximately seventy acres of public forest in Lefthand Canyon before firefighters could control the blaze. Tyler Schnaithman rolls a hay ring to prep a hay bale for some bulls on his farm in Garber, Oklahoma. Blood drips from the nose of Wheat Ridge High School Pitcher Nick Swanson after he was hit by another players cleat during a play at first base in Aurora Colorado May 21, 2011. The Wheat Ridge Farmers won the 4A high school playoff game against Air Academy 5-2.